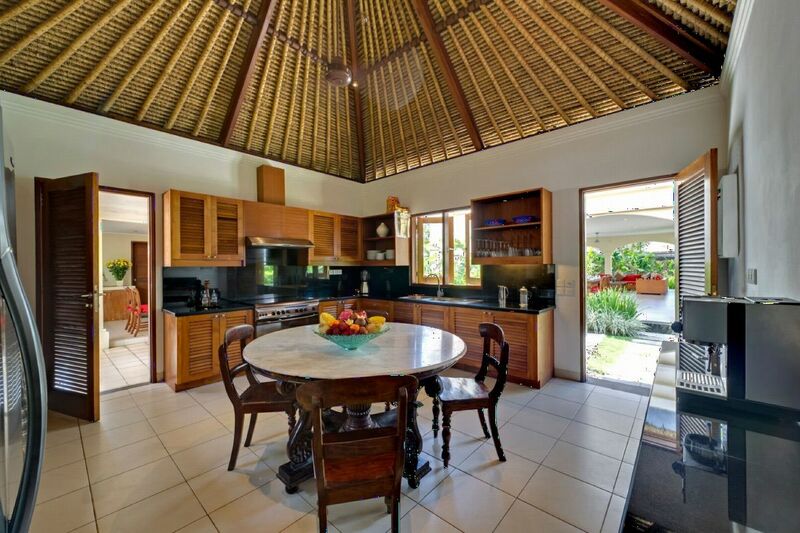 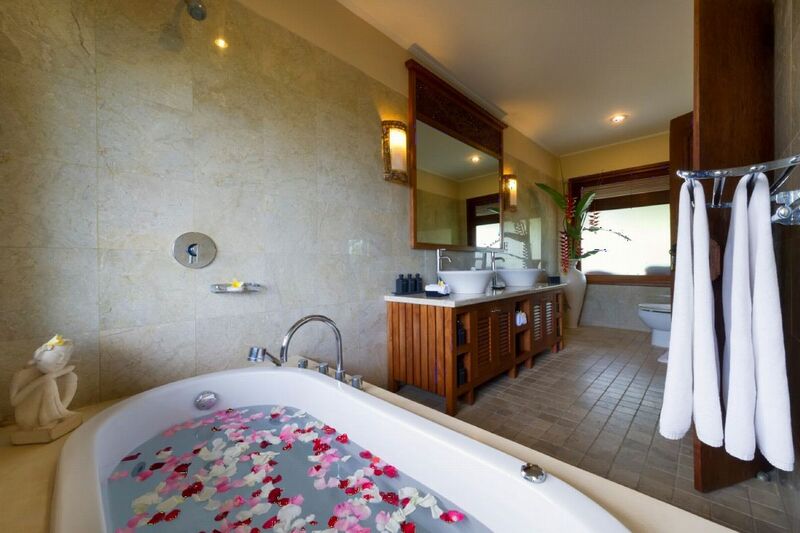 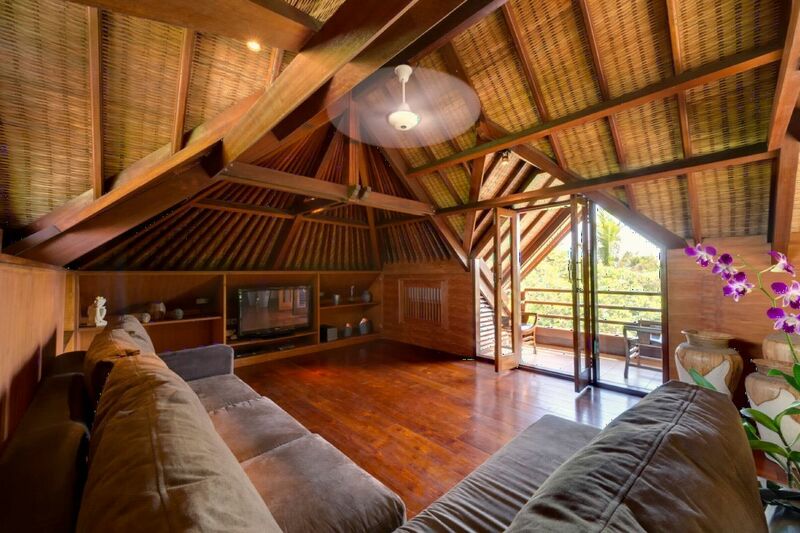 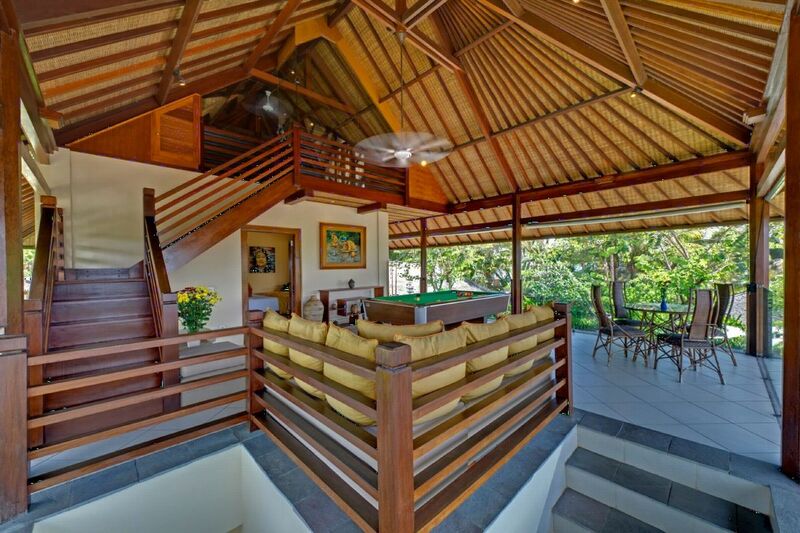 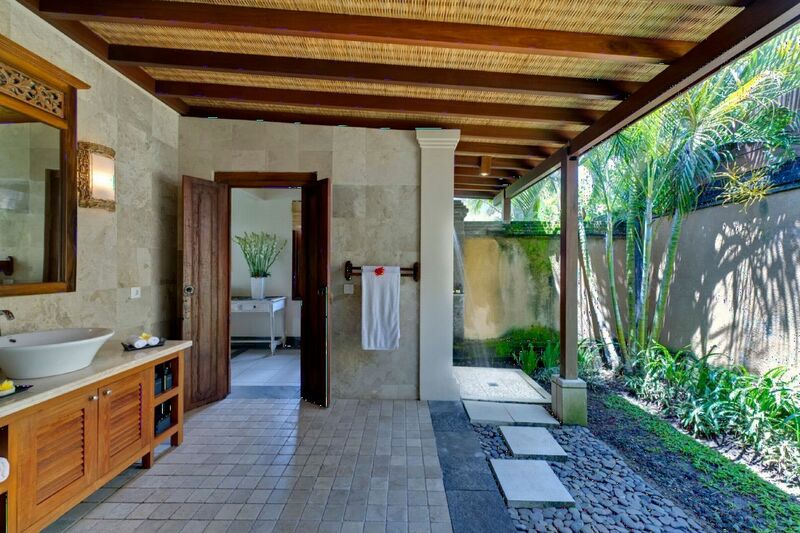 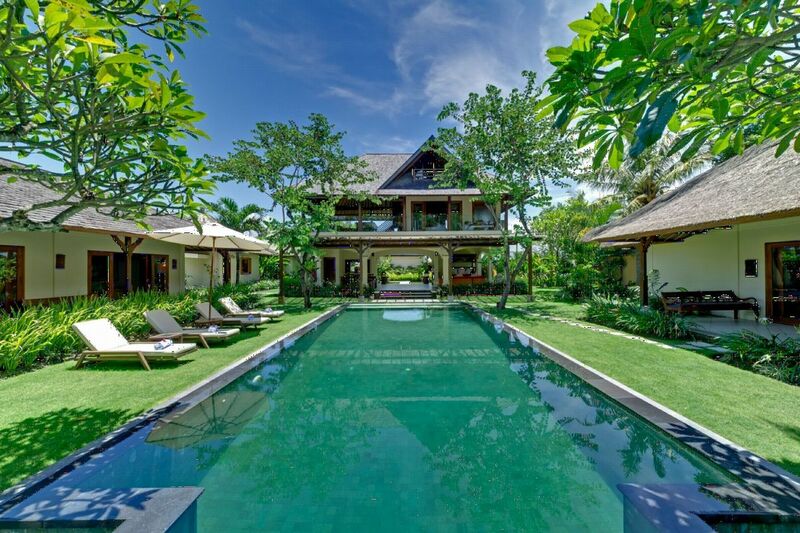 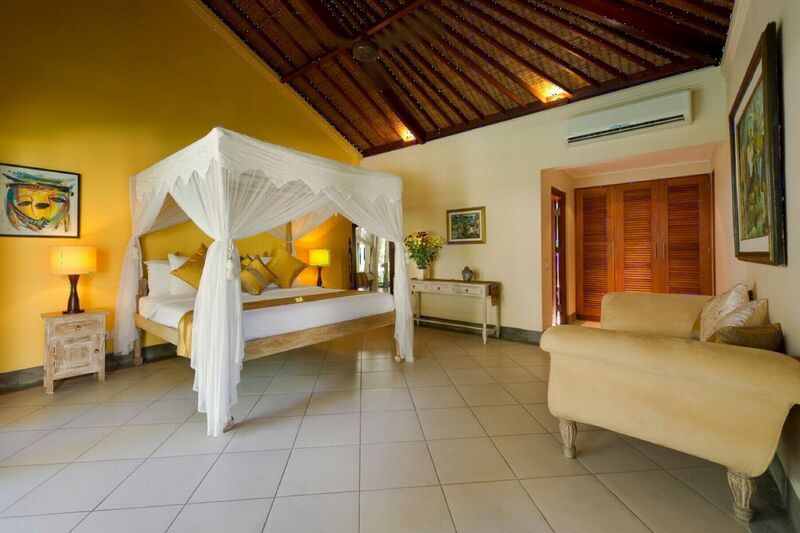 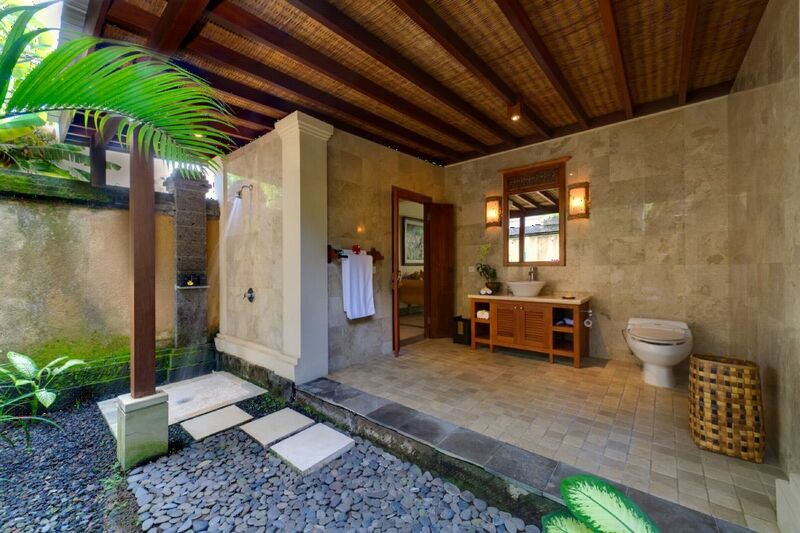 This villa is located on the southwest coast of Bali, just after the quiet village of Cemagi. 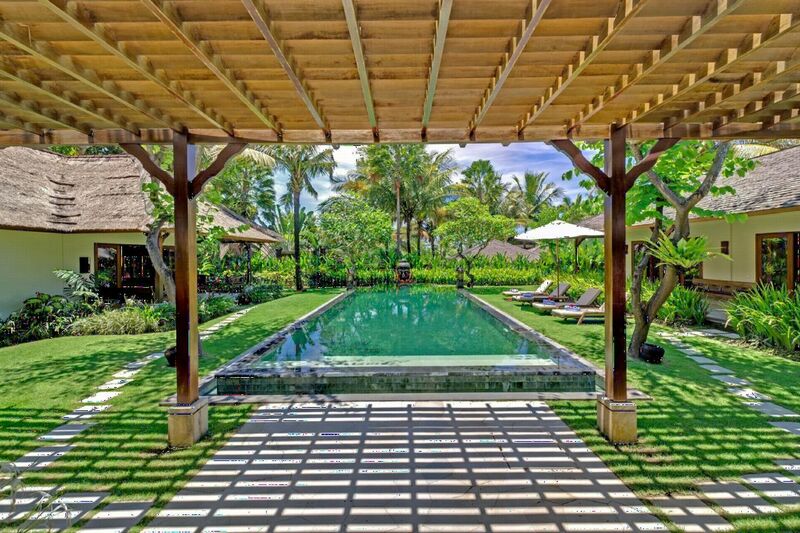 The shores of glistening black volcanic sand and rocky outcrops are the picturesque landscapes surrounding the sea temple of Pura Gede Batungaus Luhur. 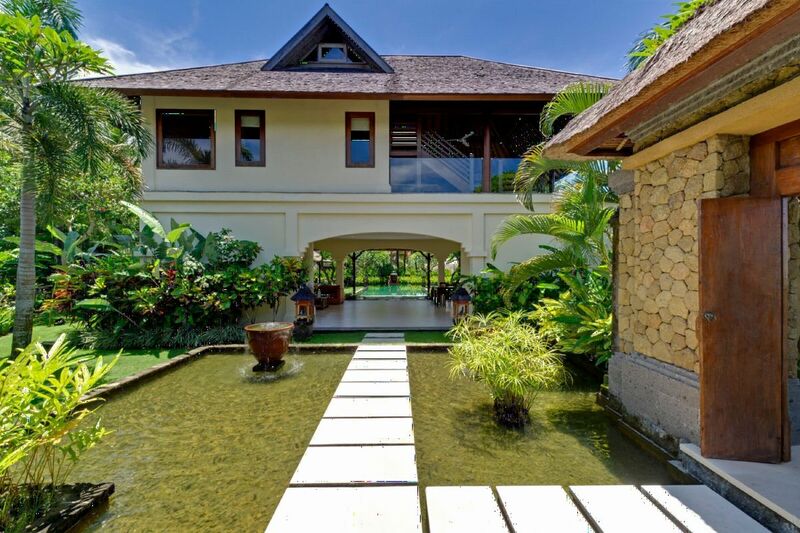 Despite its countryside setting, the cosmopolitan area of Seminyak with its numerous restaurants and shops is only 30 minute drive away. 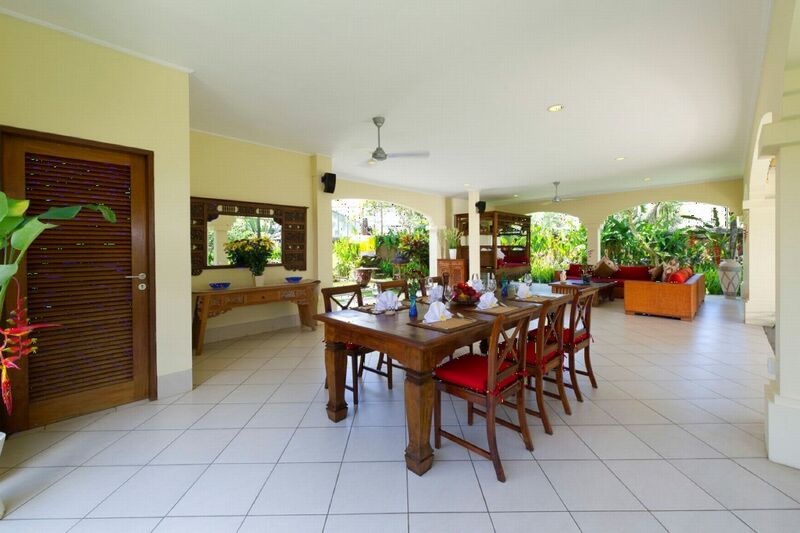 The world-renowned beach of Echo Beach is also close (10 minutes drive). 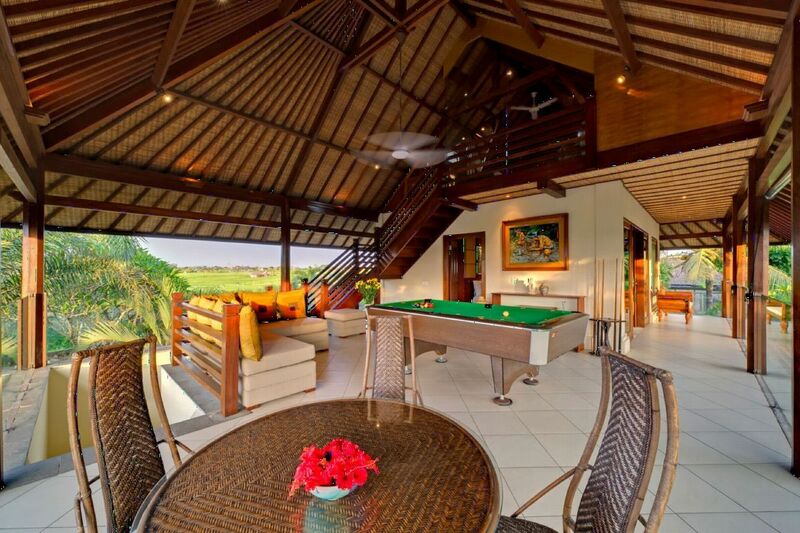 You will enjoy a relaxed atmosphere, a cold beer and admire the skills of surfers as well as the so-fabulous sunsets from that place. 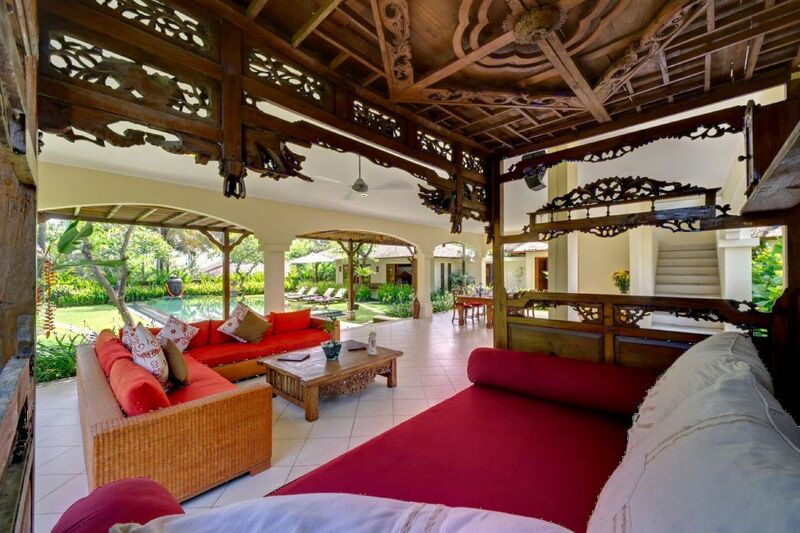 This villa features an open outdoor lounge, a dining room, a large swimming pool, a games room as well as a media room, four bedrooms with spacious bathrooms and also a large garden ; this is indeed the ideal residence for your family and friends. 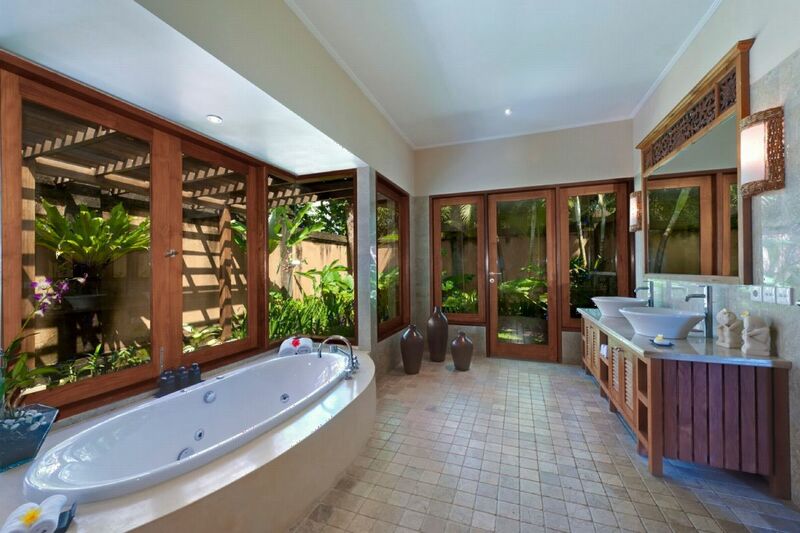 The environment is very intimate and peaceful. 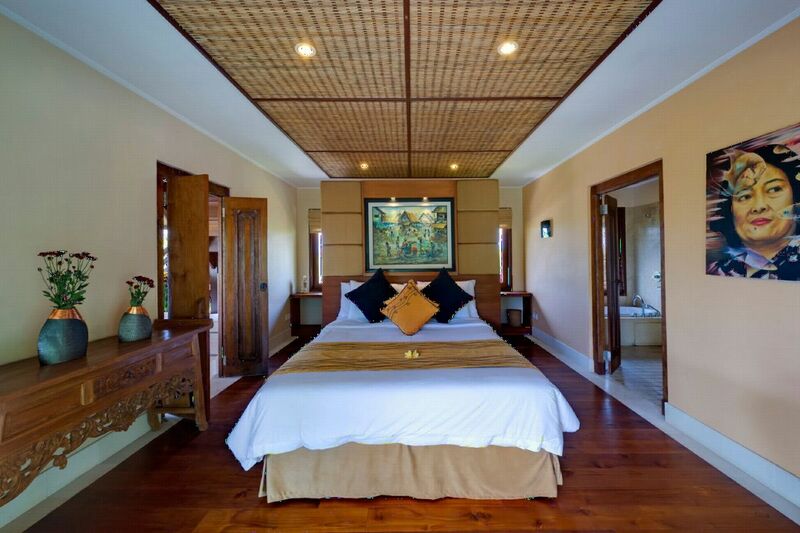 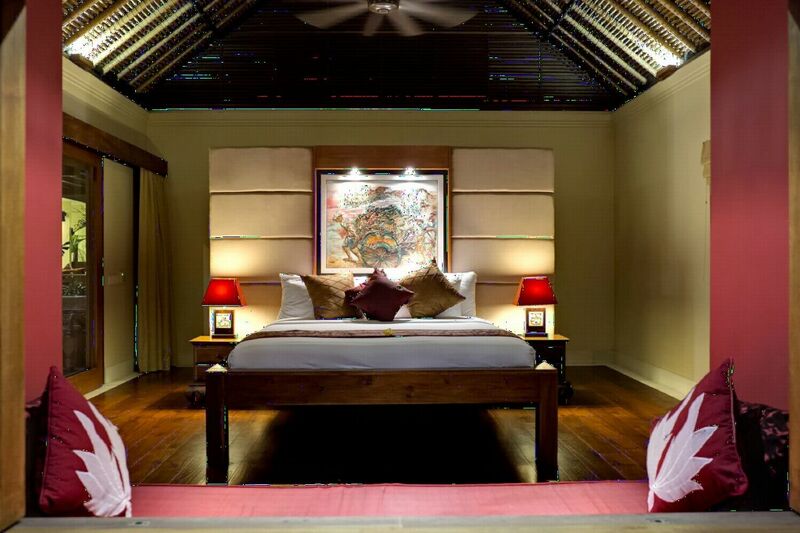 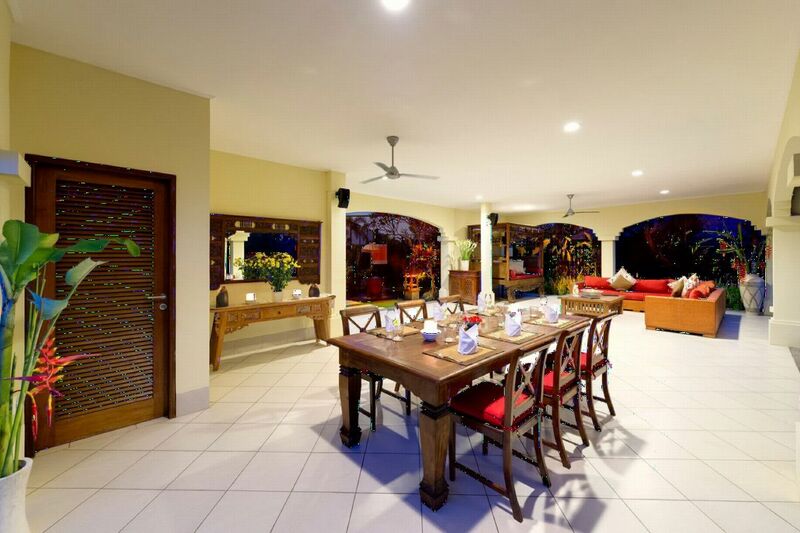 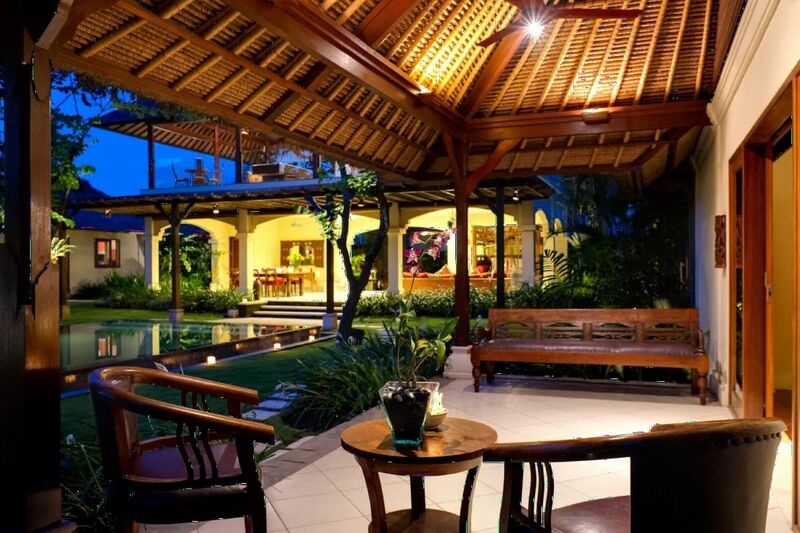 The decor matches perfectly the traditional Balinese architecture with modern comfort. 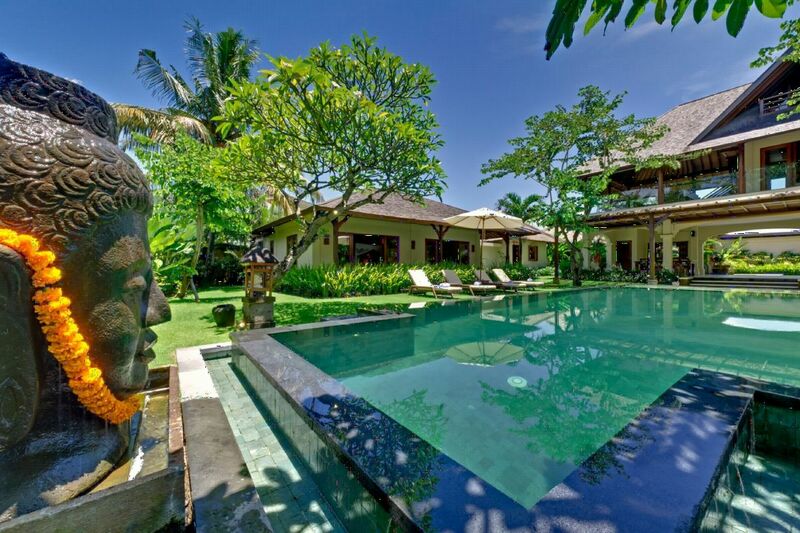 If you want to travel around this little paradise, a car with a driver is fully available for you.